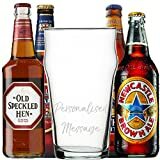 Find the best offers & discounts on Brown Ales. 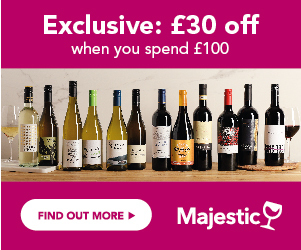 Compare current prices and sign up to Price Alerts so we can email you as soon as the price of your favourite bottle drops. Search for exclusive vouchers to make fatnastic savings. 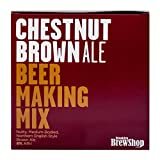 Use quick links below to browse most popular Brown Ale subtypes. Brown ale, as one might easily guess, is a style of beer with a dark amber or brown colour. The term was first used by London brewers in the late 17th century to describe their usually very mild ales, intended for domestic consumption – before the use of pale malts became widespread. Sources from the 18th-century indicate that brown ales at that time were delicately hopped and brewed from 100% brown malt. 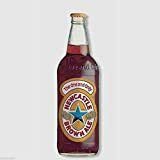 The term "brown ale" was revived at the end of the 19th century by the famous London brewer, Mann, and has developed into many substyles since. Today the best, most renowned brown ales are made in England, Belgium and America. 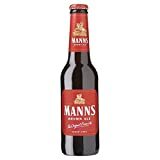 Brown ale varieties range from sweet, low alcohol beers such as Manns Original Brown Ale, medium bitter amber beers, like the Newcastle Brown Ale, and some hoppier beers, best represented by the Sierra Nevada Brown Ale. They range from deep amber to brown in colour, and are usually rich in caramel and chocolate flavours. 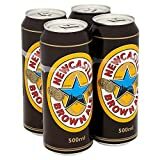 Brown ales from north-eastern England tend to be strong, malty and nutty-caramelish, sometimes called “nut brown ales”. Those from southern England, so called London Brown Ales, are usually very dark, deeply sweet, and much lower in hops and alcohol content. North American brown ales are usually more bitter than their English cousins, with a subdued fruity aroma and medium body, due to a distinct style of American hops. They can have a chilled haze as well.